Whatever the business size, end-to-end conversion rates for B2B companies are low, meaning sales and marketing teams often have to answer tough questions about targets if they are not being met. There is a demand for leads, and it's up to you to find them. This problem is intensified when some leads do not fit the correct customer profile, or are based on a source of data that is unreliable, incomplete or factually wrong. Your sales team isn’t going to get very far following up an opportunity if the wrong person is at the end of the phone, or they get a bounce back from the email they’ve been given. It will be even more of a waste of their time if they start chasing down prospects that never really had any intention to purchase. What if there was a reliable source of data to profile and segment your customers and prospects into ‘good’ and ‘bad’; to know which of them deserved the full attention and effort of your sales team? In the late 19th century, Italian economist Vilfredo Pareto observed that 20% of the peapods in his garden yielded 80% of peas. He later noted that 80% of Italy’s land was owned by 20% of the population. These observations became the basis of Pareto’s Law, a principle that has since been applied to everything from sports trading to computer modelling. This same law applies to your customers and prospects. Over the course of the last 30 years, Blue Sheep has found (with very few exceptions), that between 60-80% of a company’s revenue comes from just 15-25% of their customer base. 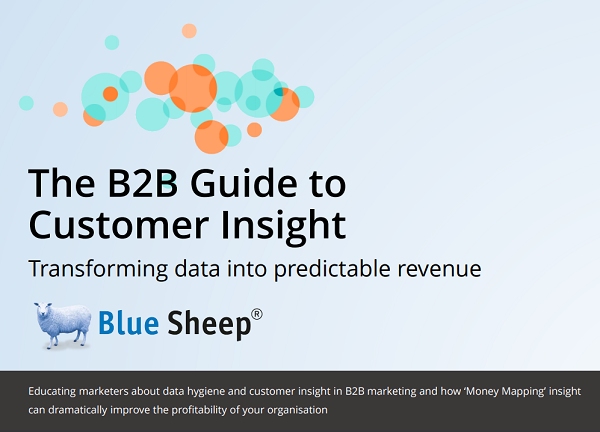 In the B2B Guide to Customer Insight, we educate marketers about data hygiene and customer insight in B2B marketing. 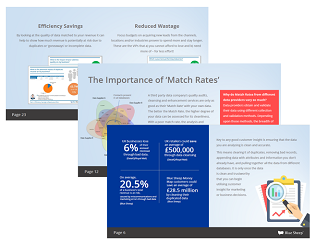 Also, how ‘Money Mapping’ insight can dramatically improve the profitability of your organisations, by identifying the 20% of VIP customers and prospects who have the potential to bring the most to your business.